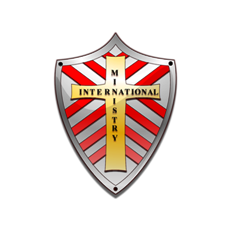 Master Correspondence Book Order Page – Ministry International Inc. Please choose the course(s) below that you wish to order. You have the option to pay for the course in full ($1,325.00) or you can order individual courses as you are ready for them. In order to receive credit hours for courses taken, you must have submitted an Application Form for acceptance into the Master’s Program, have an original transcript on file with MII, and paid the $75.00 start up fee which is included in the cost of Book 1 – Deal With It!. Below 26 hours of courses are shown for the Master’s Program from which you must choose 24 hours. In addition to taking 24 hours of courses, you are also required to type a 50 page double spaced Thesis. The topic must be agreed to by your Instructor or Faculty Adviser. Your Thesis will be worth 6 credit hours. Once you have paid the start up fee you have the convenience of working at your own pace and ordering as you go. When you are ready, choose options below to place your next order.